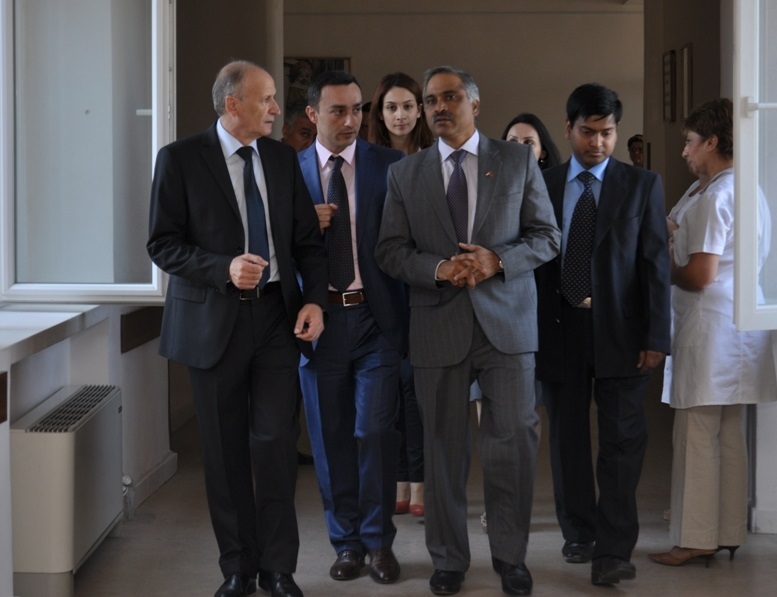 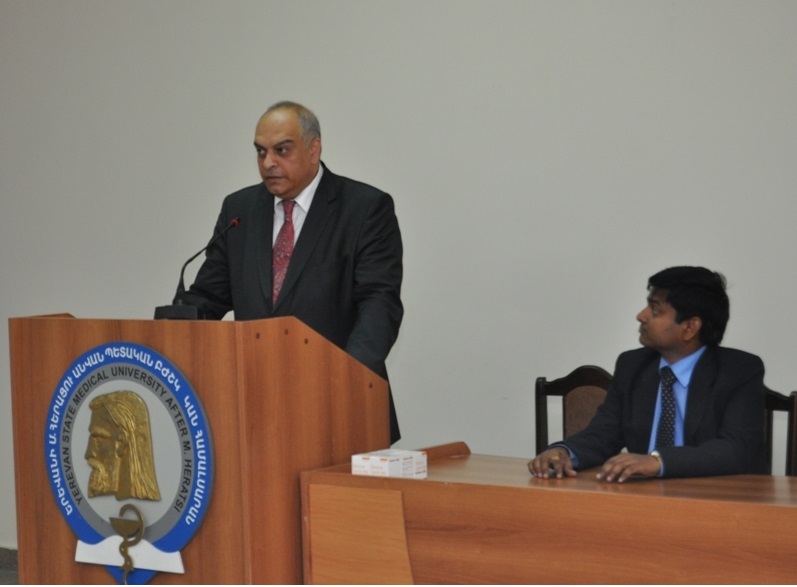 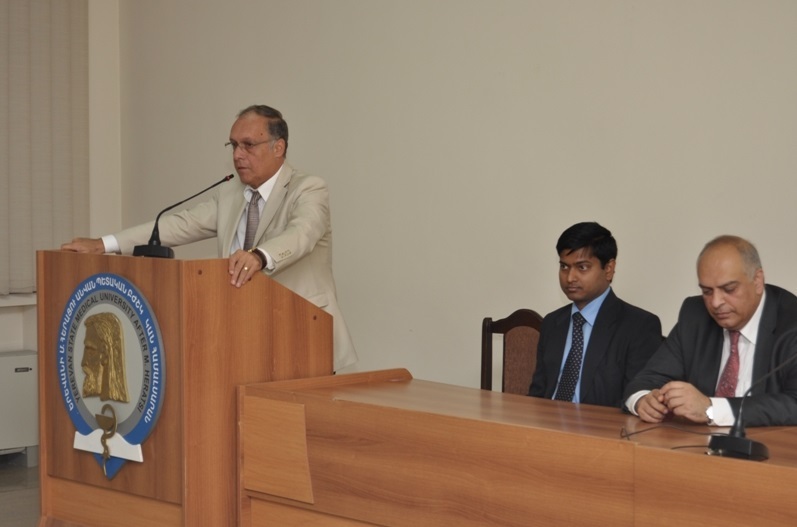 On September 11, 2013, Ambassador of India in Armenia Dr. Suresh T. Babu visited the Clinic of Chemotherapy of “Muratsan” Hospital Complex of Yerevan State Medical University and formally donated in a special ceremony a consignment of medicines – Kelfer ( Deferiprone), supplied by CIPLA, one of the leading Indian Pharmaceutical Companies, as a humanitarian assistance to all patients in Armenia (about 20-25) suffering from thalassaemia. 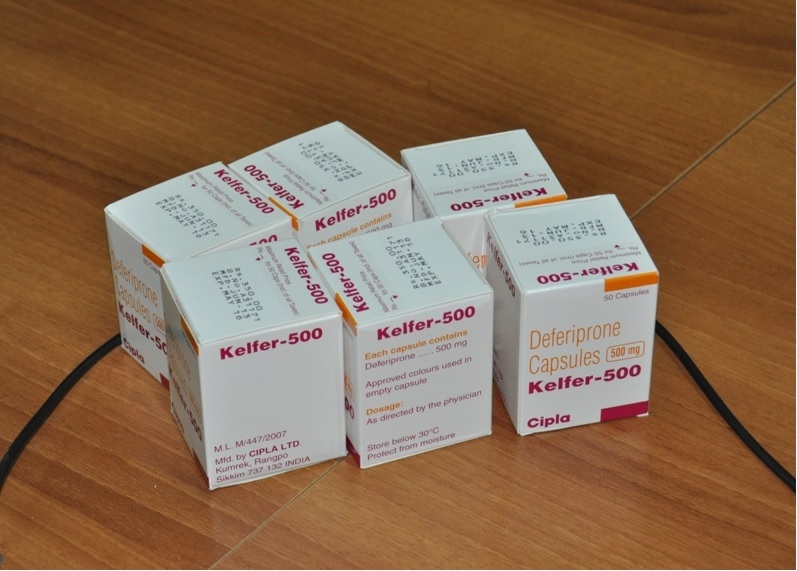 Because of the high price of this kind of drugs (iron chelators), most of patients with thalassemia in Armenia were not getting appropriate treatment and finally the consequence was fatal. 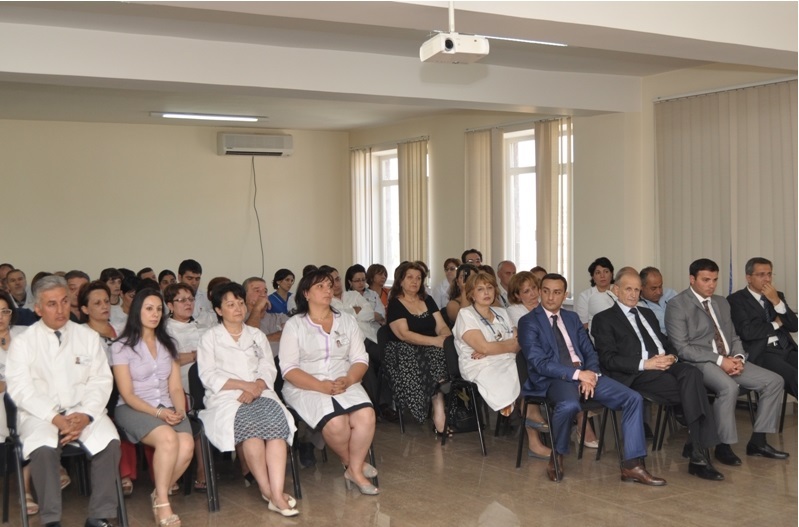 This donation will help to solve this problem and hope our patients will survive. 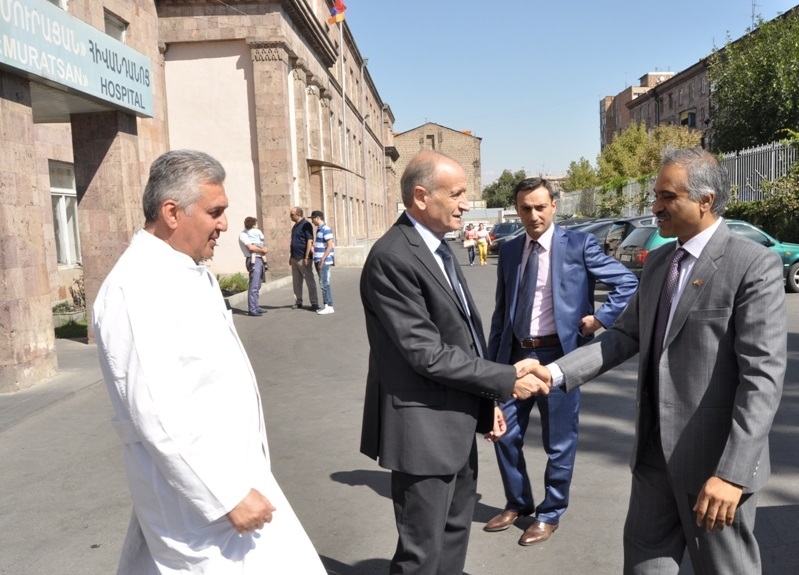 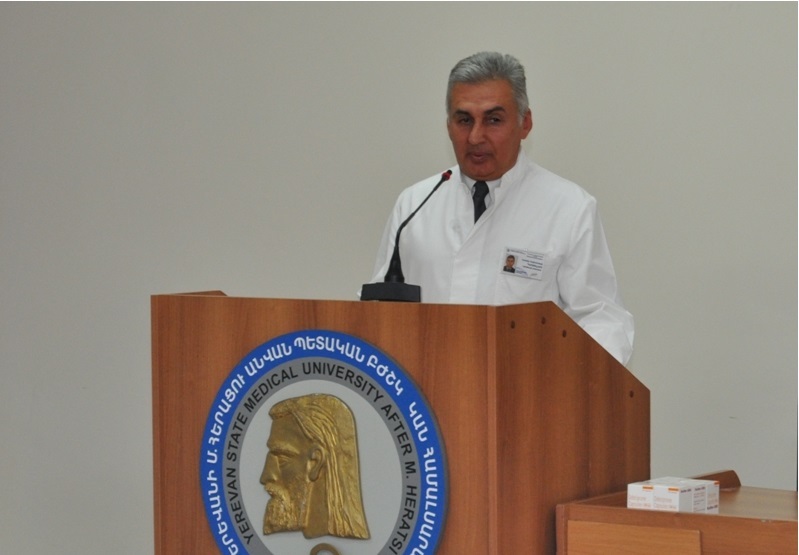 Prof. Sergey Khachatryan, the Deputy Minister of Health of Armenia, Prof. Mikayel Narimanyan, Rector of the Yerevan State Medical University, Dr. Yervand Sahakyan, Vice Rector of International Relations of YSMU, Prof. Armen Minasyan, Vice Rector for Clinical Affairs of YSMU, Dr. Gagik Mirijanyan, Chief of Rector’s Staff of YSMU, Dr. Bagrat Baveyan, Head of “Muratsan” Hospital Complex and Dr. Samvel Danielyan, Chief of the Clinic of Chemotherapy of “Muratsan” Hospital Complex of YSMU were present during the ceremony. 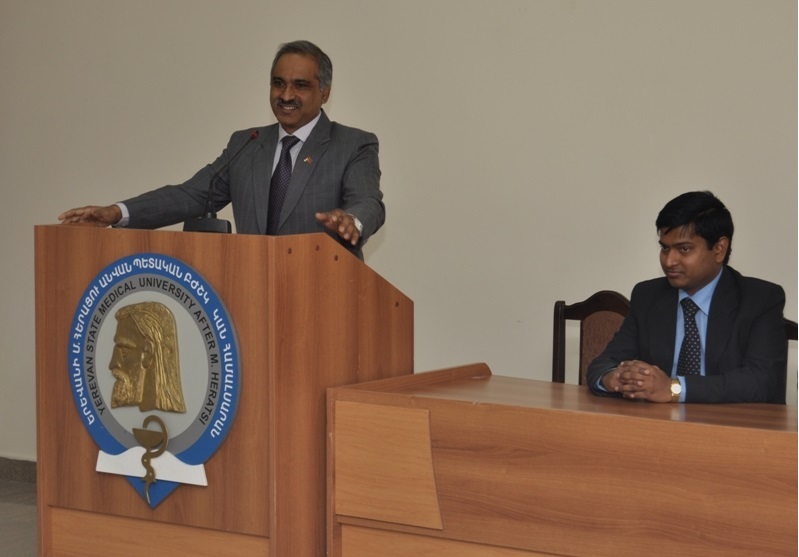 Deputy Minister, the Rector and all the speakers have expressed their gratitude to the Ambassador of India in Armenia Dr. Suresh T. Babu, Indian Pharmaceutical Company ‘Cipla’ and to the Government of India for their quick response to their appeal by promptly arranging this priceless medicine. 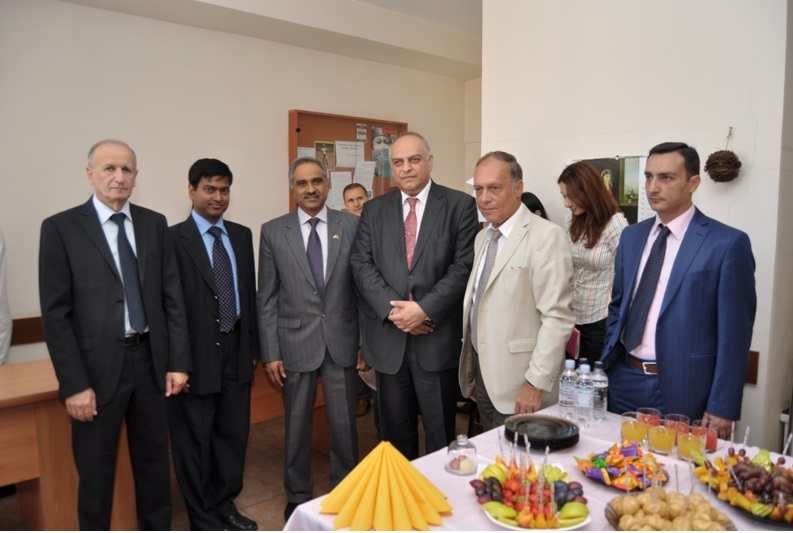 The Ceremony was attended by a few parents of the children suffering from thalassaemia, treating doctors and specialists in the hospital.